She has been a nationally sought after speaker to educate doctors, nurses, health care practice managers, lawyers and allied healthcare professionals on the topics of the potential legal liabilities and strategies to minimize risk in clinical practice and to their professional licenses in the practice of e-health, e-law, cyber nursing, privacy rights and violations. Her experience in this area has also been acknowledged with invitations to speak to the Maryland State Bar Association, Montgomery County Bar Association, the American Health Lawyers Association, The American Association of Nurse Attorneys (TAANA), Medical Societies, Practice Administrator Organizations and other medical, legal and professional organizations on the topics of the virtual law practice, e-health, e-law, health information technology (HIT) and what lawyers need to know about e-health for their clients. Ms. Kopf was given the 2004 Cynthia Northrop Distinguished Service Award by TAANA as recognition of her work in the development of the Association’s first fully functional website and member electronic communications. 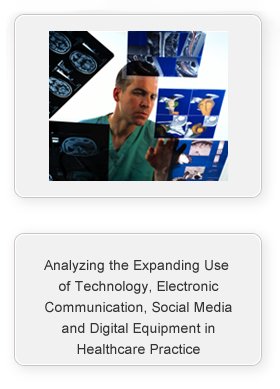 Please visit the presentation topics page for more information regarding current and prior speaking presentations. View Presentations.